In case you didn’t know, last summer a tornado spun its way through my neighborhood. The hardest hit area was our park. 98% of the trees were destroyed. For a city park, we sure had a lot of trees. Last night, there was a community meeting to discuss the future of our park. 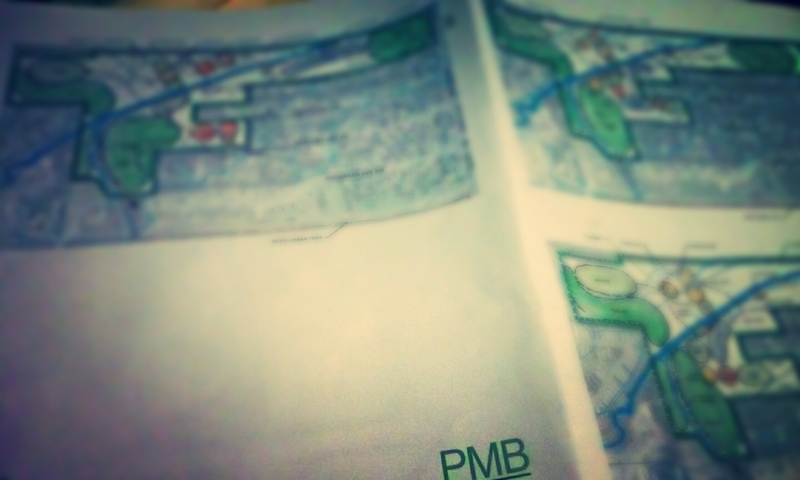 They passed around blueprints, heard ideas, discussed parking and playgrounds and restrooms. My husband took our daughter. She’s 8 and not shy in the least. She told them she liked their idea for a fishing deck, but also wanted an art area where people could spend time creating art inspired by the nature around them. When they got home, I looked over the blueprints. Jeff told me a few of the options. Fortunately, whoever created these plans labeled them clearly. It’s exciting to see that, whichever plan they choose, our park will be restored and even improved from what it’s ever been. I’m in the blueprinted phase of writing my fourth novel. I’m dreaming and planning and making notes of all the ideas that jump into my noggin. This is a screenshot from Scrivener, a novel writing program. I can write a summary of an idea that will then link to a document in which I can draft that idea into a paragraph and ultimately a chapter. What’s that? It’s too fuzzy to read, you say? Yeah. I can’t show you what this novel’s about yet. Sorry, Charlie! 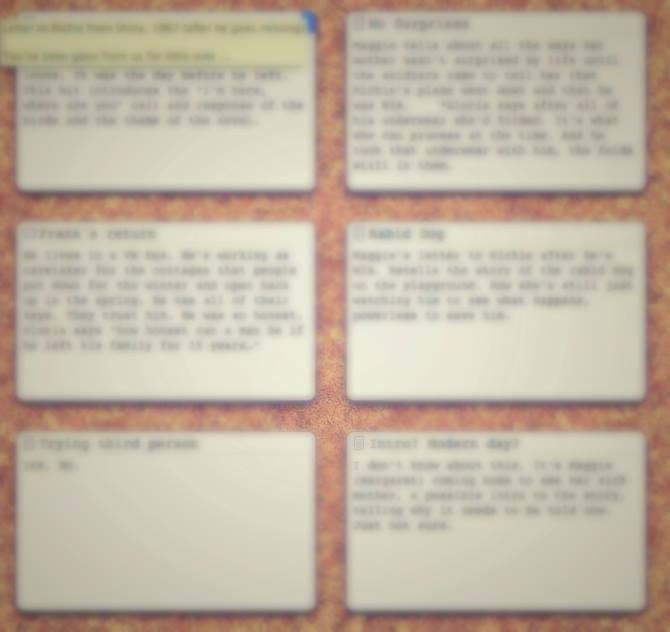 I’m hoping that, as I plan, I make each part as clear as possible so that I’m able to expand on that idea later on. At this point, no idea is too off the wall. All ideas get a spot on the blueprint because I never know what will be a high impact scene or what will help move the plot forward. This is a fun part of the writing. Well, really, it’s all pretty fun. I have a pretty cool job. Way to go, E!!! That is her park and she had a great idea. I hope they take her idea to heart. I hope so too! It would be fun! Susie, you are so cool. Not just your job–you! Oh, Elizabeth! You know i feel the same about you! Have you used Scrivener before? I hear a lot of good things about it, but have never seen it in action. I’m so proud of you all. You go Miss E. and be a working part of our community for change and improvements. She’s a great girl, that’s for sure!